Vaccinations are widely available and encouraged in the United States, especially for infants, children and seniors. Vaccinations are intended to help prevent diseases and illnesses such as influenza, pneumonia, measles/mumps/rubella (MMR), chicken pox (varicella), diphtheria/tetanus/pertussis (DTaP) and human papillomavirus (HPV). These diseases can cause death, disabilities and birth defects. There is widespread evidence of the effectiveness of vaccines. For example, the U.S. Centers for Disease Control and Prevention (CDC) estimates there were three to four million cases of measles annually prior to the development of the measles vaccine in 1963. Nearly 500,000 cases were reported annually to the CDC that resulted in 48,000 hospitalizations and 450 to 500 deaths. The last widespread measles outbreak in the United States was in 1991. It affected thousands of children in the Philadelphia area associated with a faith healing church that actively discouraged vaccination. The last measles case originating in the United States was in 2002. The measles virus has been declared eliminated in North, Central and South Americas; but it is still widespread in other parts of the world.1 Measles in the United States has declined from millions of cases to thousands, and is now essentially nonexistent. Figure 1 shows a good example of the value of vaccines. A measles outbreak occurred in late 2014 among visitors to Disneyland. One of those infected (believed to be Patient Zero) was visiting from outside of the United States and was a member of a religious sect that opposes vaccinations. The amusement park provided a venue where the disease could easily spread. The few cases we see now are believed to have originated outside of the United States and were brought here by travelers. *Case counts for reporting year 2017 are provisional and subject to change. Source: Centers for Disease Control and Prevention. 2017. “Notifiable Diseases and Mortality Tables.” Morbidity and Mortality Weekly Report 66 (48): 945–964. Vaccines have nearly eradicated deadly diseases such as smallpox and polio, and serve to protect individuals from other infectious diseases. Despite these clear successes, vaccinations are not without controversy. Here are some of the major pro and con arguments on vaccines and vaccination programs. There are a number of arguments for vaccination, as shown here. While some vaccine ingredients, such as thimerosal, can be harmful in large amounts, the amounts used in vaccines are not sufficient enough to be dangerous. The Food and Drug Administration (FDA) requires years of testing before a vaccine is approved. The FDA, CDC, U.S. Health and Human Services (HHS), American Medical Association (AMA) and other U.S. and world organizations state that vaccinations are safe. The CDC published a study in 2004 that looked at the prevalence of autism among vaccinated and unvaccinated children. The study noted that vaccination between 24 and 36 months was slightly more common among the children with autism. However, this result may have been an example of correlation rather than causation. The researchers noted that the finding was most likely the result of immunization requirements for preschool early intervention programs for the children with autism. Since children without autism did not participate in these early intervention programs, they were less likely to have vaccinations at that age. Concerns about vaccine safety led to the passage of the National Childhood Vaccine Injury Act of 1986. The act provides a federal cost-effective, no-fault system for adjudicating vaccine-related injury claims, and helps to ensure a stable market for drug manufacturers. When a sufficient percentage of the population is vaccinated, contagious diseases cannot gain a foothold and spread. In addition to the protection provided to those who are vaccinated, herd immunity also limits the exposure of disease to that portion of the population that cannot be vaccinated because of age, health issues or other reasons. 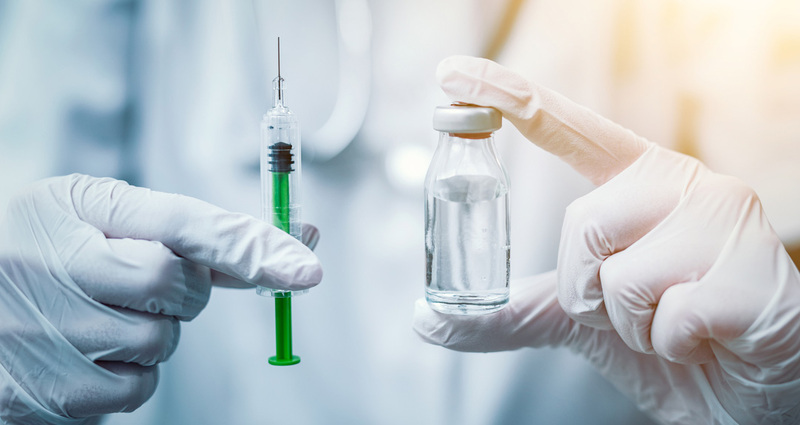 Many diseases for which vaccines have been developed still exist worldwide and can be brought into the United States by travelers, so vaccinations to maintain herd immunity are still important. For example, vaccines can protect expectant mothers from rubella that, for some, causes death and birth defects such as congenital heart conditions, vision and hearing loss, and mental disabilities. On the opposing side, there also are a number of arguments against vaccination. Here are six of them. All vaccines carry a risk of allergic reactions. Some vaccines have also been associated with more serious side effects such as seizures, pneumonia, Guillain-Barré Syndrome and chronic conditions such as asthma and diabetes. Some of these side effects may be the results of ingredients used in the manufacturing of the vaccines, such as thimerosal, aluminum, formaldehyde or egg protein. According to the CDC and other experts, the incidence of such side effects is rare—for some side effects as low as one case per million vaccinated, while others may reach one case per 20,000 vaccinated. These incidence rates are much lower than the estimated number of cases of disease that would occur in the absence of vaccinations, and the side effects are generally less serious than the illnesses the vaccines prevent. Many opponents of vaccination believe that mandatory vaccination programs violate the constitutional right to religious freedom. Several religions oppose vaccines and vaccinations entirely because they believe in natural healing of the body. Other religions believe that parents should decide whether their children should be vaccinated. For example, some vaccines contain ingredients derived from fetal tissue. Vegans may object to vaccines containing animal byproducts such as egg protein. Many believe that mandatory vaccinations give the government the power to make medical choices for individual citizens and thereby give the government control over their bodies. It is their belief that the decision to be vaccinated is a personal choice that should be left to the individual, family members or caregivers. Serious diseases such as polio, rubella and smallpox have essentially disappeared in the United States. Other diseases, such as measles and chickenpox, are less serious illnesses and cause only mild symptoms. This calls into question whether vaccinations are still necessary. There are strong clinical and public health justifications for vaccinations and vaccination programs. At the same time, opponents of vaccinations have raised a number of medical, religious and philosophical concerns. While as a country we respect and support religious freedom and differing philosophical beliefs, at some point we need to recognize that certain individual or group “freedoms” can put the larger population of children and adults at risk for serious disease or death. Potential adverse side effects of vaccinations are less dangerous than the diseases vaccinations can prevent. Some states already limit vaccination exemptions for school-age children attending public schools to medical reasons only. So what are we to do? Mandatory vaccination programs for the protection of children in public schools are certainly a high priority. Health plans are required to cover vaccinations. Group plan sponsors can actively promote vaccinations and consider on-site administration to make it easier for employees. And doing everything we can to promote voluntary vaccination in other adult, senior and at-risk populations to boost herd immunity is another critical—and doable—step. Changing the minds of people who are against vaccinations? Not so easy. In a recent study on pro-vaccination strategies published in the scientific journal PLOS One, Dr. Sergio Della Sala, a neuroscience professor at the University of Edinburgh, says it’s crucial to provide a set of facts that can combat the previous statements without restating the myths, or even mentioning them. “Saying ‘this is wrong’ or ‘this is false’ is not enough,” he says. The best approach here: a good, solid dose of facts. Geoffrey Sandler, FSA, MAAA, is an independent consultant.